Your style has reached out to audiences unfamiliar with experimental sounds, thanks to its remarkable accessibility. Do you believe diversity can be an obstacle when aiming at new horizons, and how much do you see your sound further developing? When should we expect a new full-length release? CW: I think sometimes being difficult to define can hold an artist back from certain opportunities, but I’ve been really lucky to still have support from a lot of really great people despite being sort of in-between genres. When I’m writing a new album I just follow my instincts and pay attention to what my bandmates and I are writing naturally, and then we hone in on that and refine it. We actually just finished recording a new album and if all goes well, it’ll be out later this year. Hypnos is the kind of recording that drowns into a simple emotion. Brilliant as it should be. Do you enjoy putting out EPs/7″s once in a while, and how would you describe the mentality behind these releases? CW: To be honest, since I’m not really a record collector myself, I don’t always think to release these kinds of special things, but my bandmates remind me that I should. 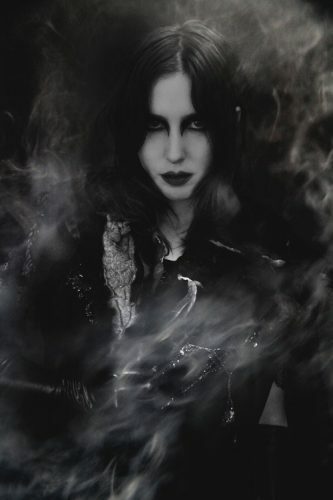 But after finishing the Abyss album, I had cut a few songs from it because I felt they didn’t fit. I knew I wanted to do something with those extra songs at some point, so of course a 7” felt like the right home for those two songs. What do you have in mind before crafting a new song? Is it important to keep things interesting? Or does the procedure end up a rather spontaneous one? CW: I go through droughts and surges with writing. In the past I’d have a month or two where I wouldn’t write and I’d start to get depressed, feeling like I’d never write again. But now that I’m older I understand my own process better and I know that I need those times to recharge and allow life and inspiration to sink into me without overthinking it. Then suddenly I feel the urge to write again, so I find the right guitar and the right pedals and microphone and set everything up and go for it. I also think I need time from how emotional and heavy the process of writing lyrics can be for me. Sargent House has been quite in the spotlight lately for its evocative yet eerie music outputs. Emma Ruth Rundle’s brilliant solo work is also a reference point. How would you describe your cooperation with the label, and how integral has it been in regards to your latest offerings? CW: It’s great that you say that because sometimes I feel like Sargent House doesn’t always get the love it deserves. Sargent House does have a kind of family mentality, and they let their artists to develop at their own pace and be themselves, while offering subtle guidance and a lot of good advice about navigating this industry along the way. Your split with King Dude is probably considered among your most classic material so far, not only for the feeling of the recording, but also because two great artists worked together. What memories can you recall from the collaboration and what other artists would you pick to work with on something similar? CW: He and I have been friends for a long time, and when we have time we like to create something together. We’ll both bring ideas to the table and then gather together for a few days to write and record. It happens quite naturally. Our first 7” was recorded at my old house in Los Angeles, and the second was done at the Actual Pain loft studio in Seattle. When we recorded “Be Free” we made the beat by stomping our feet on the old wooden floor and clapping our hands. At the beginning of the song you can faintly hear TJ saying “stomp, clap, stomp, clap”. Ben played mandolin on the track, which was a really cool addition to the sound, and then we actually recorded a music video for it in the desert. Maybe we’ll release that someday. What kind of live performance would you describe as more evocative? One single voice with a guitar on stage, or a full band constructing the songs? CW: Both can be incredibly evoking and intense, in equal measure — it just depends on the performer and the songs of course. I think it takes a different kind of confidence and energy to be up there alone. I would like to do that someday. I’ve been enjoying playing with a full band for now, it’s like I need to be enveloped in the noise and sing into it. What are your expectations from your show in Athens, and how do you also feel about participating at the same event with AmenRa? CW: We have some Greek fans who have traveled to our shows in Berlin and Milan in the past. They seem very sweet and intense, so I imagine maybe an intense feeling at the show..? It’s very cool of course to play on a festival with AmenRa. I look forward to seeing Oathbreaker live soon as well. How important do you consider the fact that your music has been used as TV promotional material? And in what ways could musicians make the most out of it? I have often heard the argument that Netflix should focus on entire live concerts as a form of presentation of the artists. CW: It’s been really cool for me to see my music set to visuals — TV, movies. I would love to be able to create an original score for a film someday as well, rather than just my past music being used. It would be so great if more TV networks or Netflix focused on presenting more musical content. I miss the old days of MTV where you could actually watch music videos! Although there is nothing like seeing a band in person. 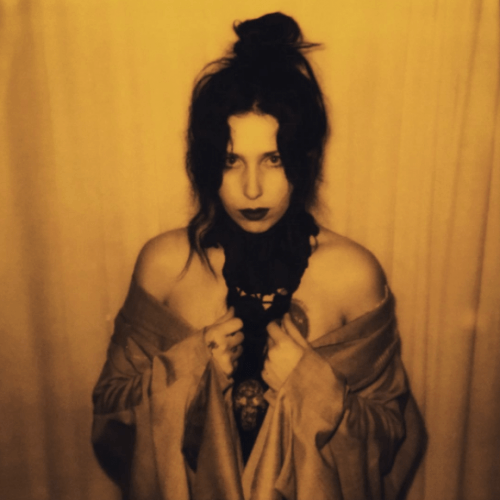 For a schedule of Chelsea Wolfe’s upcoming shows in Europe from now through August, go here. And to listen to her recently released remix of Youth Code’s “Lost At Sea” featuring Deafheaven’s George Clarke and Chelsea on guest vocals, check the player below (all proceeds from sales of the remix to go to Planned Parenthood). Great interview with a superb artist. Nicely done!